Matthew Wojciechowski, a fit and healthy retired U.S. Navy SEAL, was working as a contractor for the CIA’s Global Response Staff in a Middle East outpost. Suddenly on Dec. 21, 2011, he was struck with crippling chest pain and was soon shaking violently. So instead of being examined by a U.S. medical professional at the consulate, Wojciechowski said he was shocked that he was sent to a local hospital – and seen by a doctor who did not speak English – who misdiagnosed him simply as having heartburn. As his condition worsened, Wojciechowski was finally sent home via a commercial flight, with no medical oversight. Some two weeks later, on Jan. 6, he was barely able to walk. In excruciating pain, he was soon rushed into open heart surgery and diagnosed with chronic, recurrent pericarditis. The serious heart condition, in which the tissue surrounding the heart becomes inflamed, typically develops from a viral or respiratory infection, but its initial cause is often hard to determine. 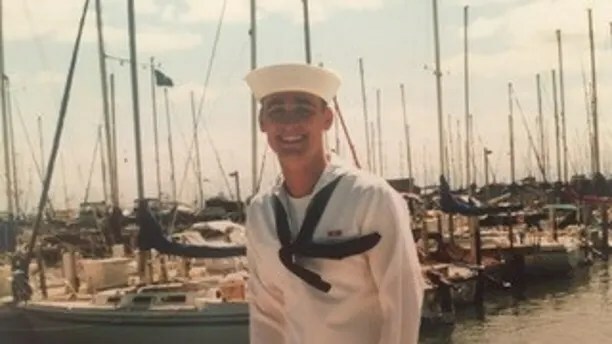 By law of the Defense Base Act (DBA), Wojciechowski assumed his health was covered, but receiving any help or compensation remains an ongoing nightmare with endless bills going to debt collections and life-saving prescriptions not paid for. “My credit is so ruined I can’t even qualify for a Veteran’s Affairs (VA) loan,” he said, highlighting that he is continuing to fight his case with legal assistance. The DBA, a World War II era legislation, mandates that the U.S government and its overseas contractors must be provided with life insurance and workers compensation insurance. Yet Wojciechowski claims that his provider, the Continental Insurance of Chicago (CNA), is not paying up under the guise he contracted an illness abroad, and thus cannot be directly attributed to his line of work. This week, his girlfriend Kristin Camacho set up a GoFundMe in the hopes of covering some of his medical bills. “He has lost everything. We sold everything and we are still struggling to make ends meet,” she said. The U.S. State Department, as well as CNA, did not respond to a request for comment. The government has no obligation to take care of you as a contractor. That’s the tragic truth. Wojciechowski’s case is far from unique. The precarious health coverage has increasingly become one of the silent perils of privatizing war. Contractors have played fundamental and often highly risky roles in several seemingly intractable U.S.-led wars against terrorism, from delivering fuel, weapons and aid to troops to guarding diplomats and bases to language interpretation and providing food and manual labor. Thousands have lost their lives and tens of thousands have been left with life-altering injuries. In 2012, Frank Gallagher developed a “weird virus” while working as a security contractor in counterterrorism operations for the U.S. State Department in Pakistan. The former Force Reconnaissance Marine battled through as he was due to return home the following week. Back on U.S. soil, he learned that he had acquired the heart condition known as myocardiopathy and was urgently placed on the list for a heart transplant. Gallagher spent the next two weeks accumulating massive hospital bills as professionals purported to stabilize his health, only to learn that his insurer would not cover a dime of the expenses as he had not reported his illness in Pakistan. But the horror was only beginning. “It took over a year of fighting,” he told Fox News, adding that he was one of the few “lucky ones” who eventually prevailed and his medical costs covered only thanks to support from his state of Connecticut and the VA. Some contractors fall back on their VA benefits – yet that system is far from reliable or accessible to all. And those who have retired from working as contractors have no TRICARE medical benefits, such as retired U.S. military personnel receive, if they haven’t served 20 or more years. Beyond that, some contractors undertaking these important roles have not worked for the military before. 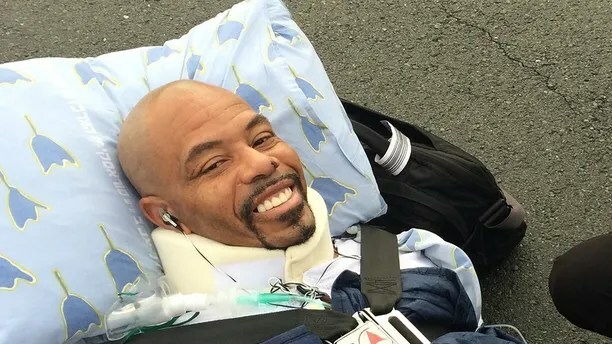 Myers, 52, who was contracting for International Development Solutions, said he remains confined to a wheelchair and although a judge finally awarded him the case in October, the insurance company has filed an appeal. Willie Myers three years ago before his flight back to the U.S. after being injured working as a contractor for the U.S government in Israel. However, even those directly wounded have returned stateside to chronic battles just to get basic medical bills paid, prosthetic limbs to be made and psychological counseling to be covered. When patients fight back, they often must do so by hiring their own lawyers. The mediation or court process can extend from months to years. Many also return from combat with mental health afflictions like post-traumatic stress disorder, and coverage for treatment of such disorders often becomes a fight of its own. Although the issue is hardly new, it is still rarely raised by representatives and politicians, many U.S. military contractors say. A 2009 study revealed that insurance companies initially dismissed more than 40 percent of contractor’s war zone claims, despite collecting hundreds of millions in profits – effectively paid for by U.S. taxpayers – from their contracts with the government. Thomas Williams, a former Blackwater officer, also cautioned that anyone mulling a supposedly big salary of a military contract should be well aware of the dark side before signing. Troy Has Fallen. Don't Let Helen Trick You. Is Paganism on the Rise? Global Debt Soars to $169 Trillion: Will We Ever Learn? Trump's first foreign trip: Scheduled stops in Saudi Arabia, Israel and beyond – Who is King Salman of Saudi Arabia? Voting for Republican Liars: Not Futile! Is There a Cure for Spinal Frailty in Republicans? Could NASA crash the economy?